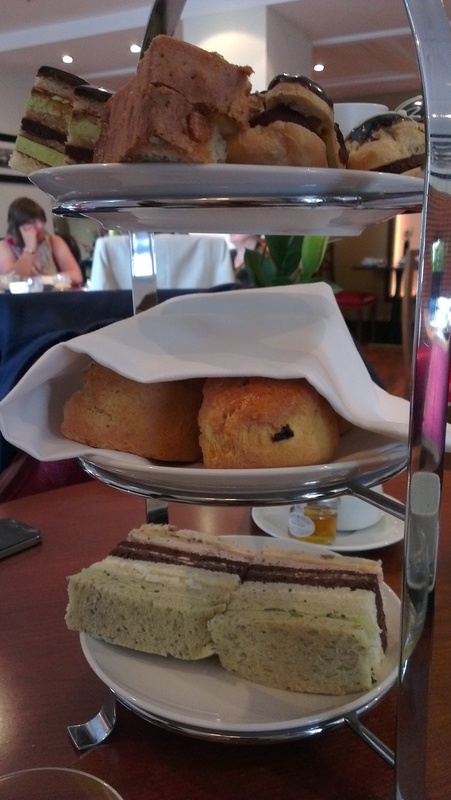 With the purchase of another Groupon voucher, I took my lovely friend for afternoon tea at 140 Park Lane. I have to admit that I had never heard of the place before, but expected it to be a real treat as, well – it’s in Park Lane, and that’s the second most expensive square on the Monopoly board, isn’t it! The lounge where afternoon tea was being served is on the ground floor, and was very bright and extremely modern. 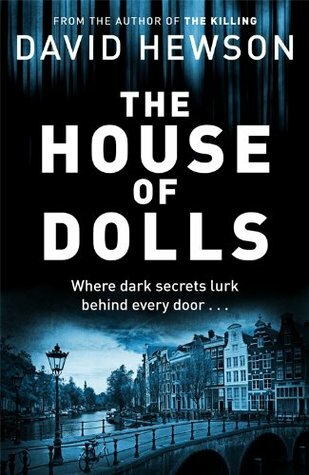 The only slight disappointment in the surroundings was that it is on the ground floor, and so unfortunately there isn’t a particularly good view out over Hyde Park, as Park Lane is in fact a very busy road. Our deal included a teapot of cocktails (£34 for two), and we went for the Bruised Apple. This was really fresh and zingy and light. I really enjoyed it! 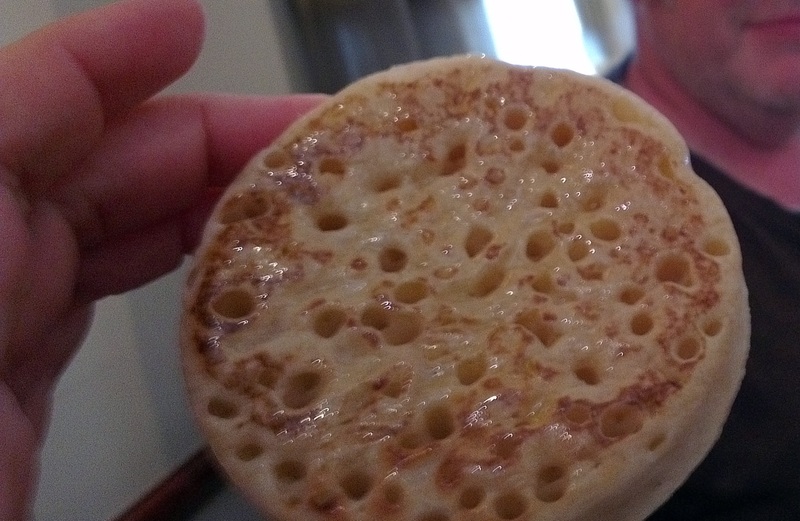 Next was a new experience for me with afternoon tea…hot buttered crumpets! 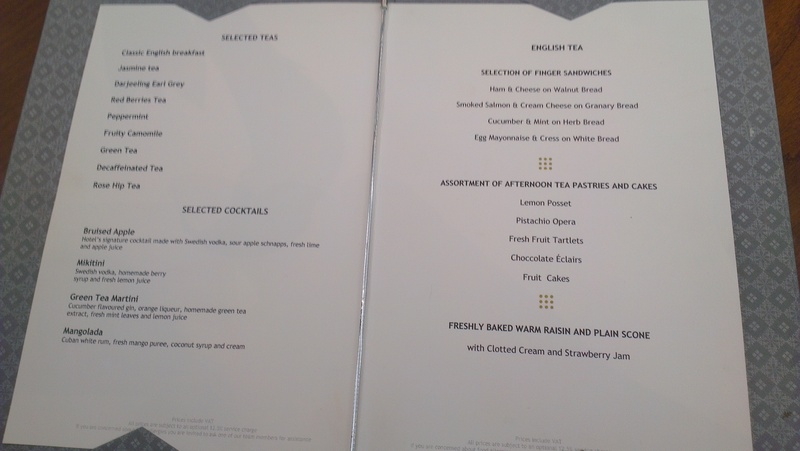 Now I love crumpets, but I certainly wasn’t expecting to see one on an afternoon tea menu! I hate to admit it, much as I have a deep-set love of crumpets, I don’t believe that afternoon tea was the right place for it. You have sandwiches, scones and cakes, as well as any other little pastries, and I think a crumpet was just one stodge too far. Also, crumpets need to be eaten really hot, with the butter dripping through and oozing onto your plate as far as I’m concerned. You can’t really do that in a restaurant setting. So, nice idea, but I don’t really think that it works. Of course, that’s just a personal opinion! The sandwiches were light and fresh, and featured a different bread for each filling, which is always a favourite quality of mine. The scones were light and we got one each plain and fruit – there are some places that are a little stingy on their scones, and for some reason only give you 2 or 3 between two people…although I have had my suspicions that this may only be for people on offers. I can’t prove that though. If there are two people, there should be two scones! There wasn’t quite enough cream however, which again is a common issue. I know that you can ask for more, but we’re English, we don’t like to be any bother, do we? Finally, it was on to the top tier. It felt pretty substantial actually. The fruit cake was fruit cake, but it was a light one, not your standard dark fruit cake with loads of raisins. It felt more like a light madeira with a bit of glacé fruit in it. I am not a fruit cake lover, so I ate this first to ‘get it out the way’! The eclairs were lovely – light choux pastry, filled to bursting with creme patisserie and shrouded in a generous chocolate coating. The pistachio operas were gorgeous, subtley flavoured with beautiful layers of sponge, cream and with a shiny chocolate top. The little fruit tartlets were lovely as they actually used chocolate pastry rather than the standard sweet pastry, which gave them a bit of a twist. My favourite part however, was the unexpected little bowl of lemon posset. They were a pretty generous portion each, with freeze dried raspberries on the top and had a deep lemon flavour – not too sweet and not too sharp. Perfect! All in all, I really enjoyed it, but the surroundings weren’t quite as ‘special’ as I had hoped – the view was a little bit of a let-down and I didn’t really buy-in to the crumpets. The cakes were great, the cocktail really hit the spot and the scones and sandwiches were fresh and flavoursome. 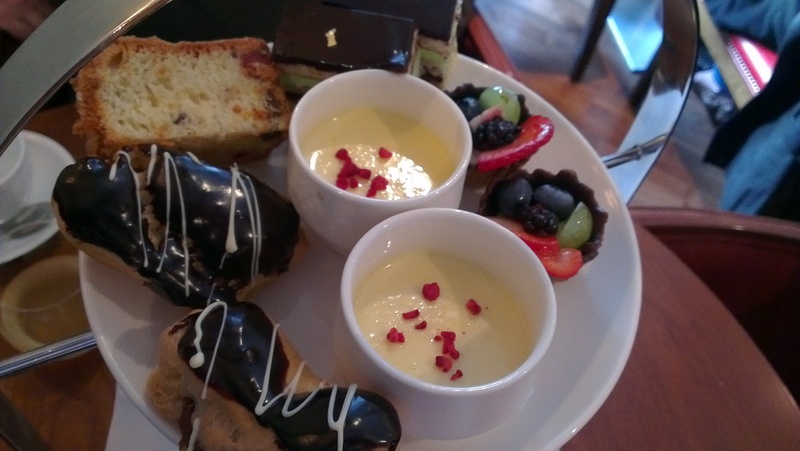 The Afternoon Tea at 140 Park Lane is usually £23 per person (that doesn’t include cocktails). I don’t think that’s too bad a price for the quality that you receive!